Hello, I am Natalia from Piece N Quilt. I am so honored that Vicki asked me to be a guest blogger here on her blog today! 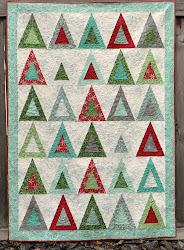 I am really inspired by Vicki's work, I really love her Figgy Pudding quilt and someday I'm going to make one for myself! A little about me, I was born and raised in Heber, UT, a small town in the Utah mountains. 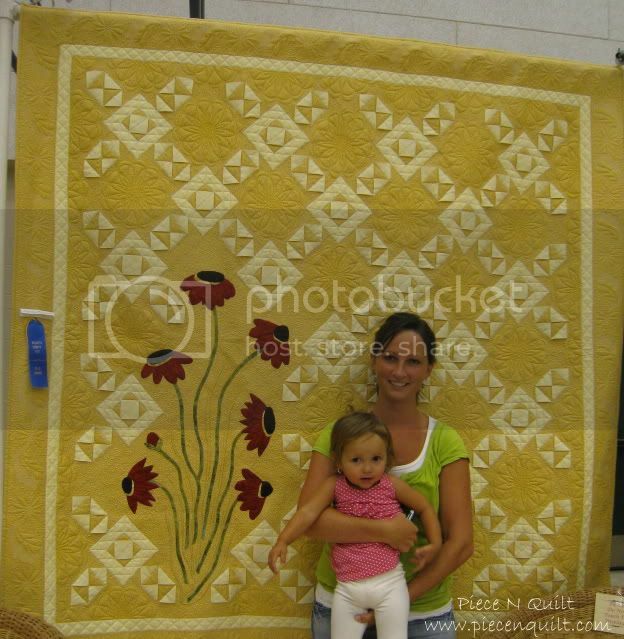 I was born on my Great Grandmother's birthday who was a very avid quilter and won many awards for her quilts. I claim that's where my love for quilting came from. My mom is very talented with fabric, decorating and designing so I have, and still do lean to her for a lot of advice and support. 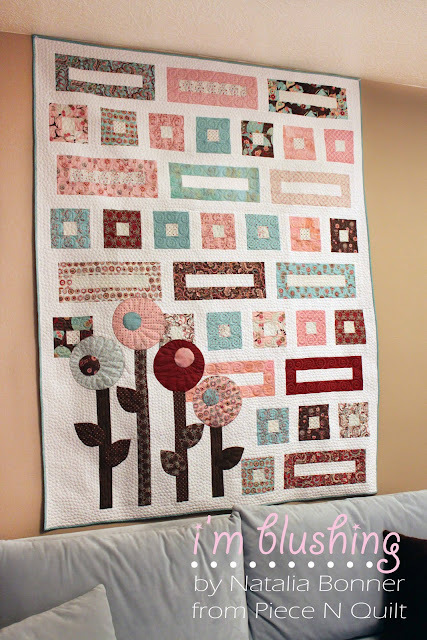 Three years ago, while pregnant with my daughter I got this crazy idea, a pregnant mind, and made an impulse purchase and bought a Gammill long arm quilting machine. I initially bought it with the intent that I would have something to do while being a stay at home mom. I didn't realize that I had a drive to do more and more. Just quilting for fun wasn't enough. Within a year of purchasing my machine I had won two different awards for my quilt "Daisies and Lattice". My mom designed this quilt and I pieced and quilted it. It did go on and win a few other awards as well. Last year something crazy hit me and I became OBSESSED with pre-cut fabrics. I traveled around Utah teaching at quilt guilds, retreats and presenting trunk shows about pre-cut fabrics. My mom and I again made this "Strut Your Stuff" quilt entirely from Jelly Rolls and won Judges' Choice at one show and Best of Show at another quilt show. This past December I was honored when I was contacted by Moda Bake Shop and asked to design quilts for them from pre-cut fabrics. I have designed two quilts so far and have two more in the works. I work full time from home with my online quilt shop Piece N Quilt or my blog. You can come over there and check out what I'm up to each day! I'm also offering a 15% discount off your total purchase today only when you use discount code "Vickiblog". Thanks again Vicki! Thanks for inspiring me each day! Thank you to both of you - fun fabric and great ideas! Thanks Vicki for the great interview with Natalia! yay Natalia! 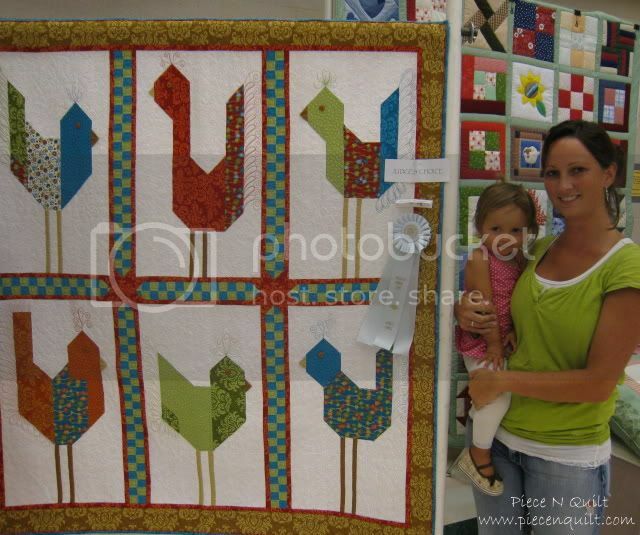 I love that she takes pictures of her quilts with her daughter!